In 2005 and 2006, USC dominated the college football world. Starting fullback, Brandon Hancock, bulldozed the way for Reggie Bush and Lendale White to head into the record books. A four year contributor, Brandon has hosted for ESPN, ABC, and Fox Sports. Brandon brings his incredible passion for his alma mater to Bleav. What did he learn as back to back National Champs for the Trojans in the Pete Carroll era? 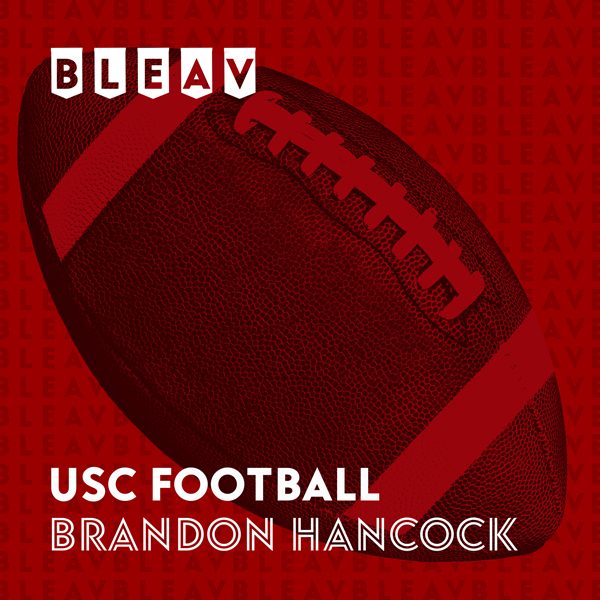 Join starting fullback Brandon Hancock as he breaks down USC Football’s last and next game, providing you the inside knowledge you can’t get anywhere else.